I ам happy to announce about the birth of my next blen litter by Ch Angel's Pride Gentleman out of CH X-Tasy Gorska Fantazja. My sweet Tosha gave birth to 4 boys and 4 girls. I'm glad that got rich by 8 cute red-and-white small pumpkins. Thank you Tanja for your super boy, thank you Barbara for extraordinary hospitality, thank you Polina for taking care about Tosha in the journey. 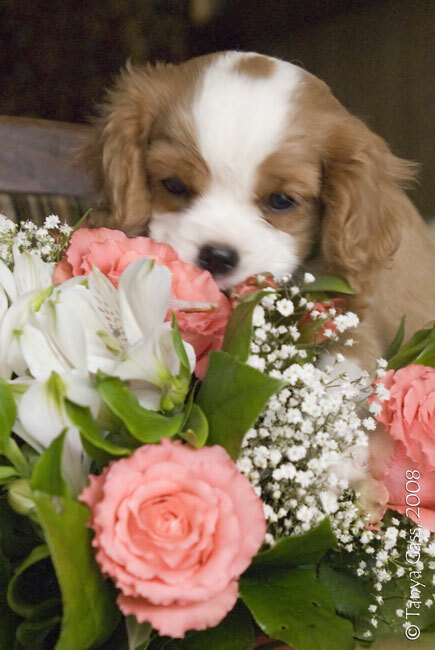 Our kennel is functioning in Russian Kynological Federation structure (RKF/FCI) and we are members of English Cavalier King Charles Spaniel Club. Every puppy gets pedigree and there is no possibility of buying "no-paper" dog!! !